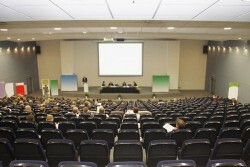 Each year the Greater Washington Shorthand Reporters Association has a conference. This year's will be held from October 19 to October 20, hosted by the Court Reporting Institute in Arlington, Virginia. "This weekend seminar presents some of the major influences in the court reporting industry," Mimi Tekle, director of the Court Reporting Institute, said in a press release. "This is our first time hosting this shorthand court reporting event and we are excited to be presenting such a distinguished line-up of speakers." Of the persons expected to speak at the seminar one of them is Margie Wakeman Wells, author of "Court Reporting: Bad Grammar/Good Punctuation," which has become a staple textbook in the industry. Furthermore, Nancy Varallo, owner of Court Reporting Management Services LLC, will give a seminar titled, "Ours is Not a Sit-in-Silence Job: Asserting Yourself Effectively and Professionally." Anissa Nierenberger, founder of Dictionary Jumpstart Inc, which builds dictionary software for reporters to improve their own, will conduct a presentation titled "Great News! Unique Opportunities Abound for Reporters." Nierenberger has also been a closed captioner for TV stations in the United States and Canada since 1992. Other presentations include "How to Make Your Job Really Pay!" as well as "Remote Scoping for Daily Copy." There will also be CATalyst training workshops. As events such as this help perpetuate the industry by ensuring that all members will have access to valuable educational tools and learn from leaders in the market, the quality of court reporting throughout the practices should elevate. 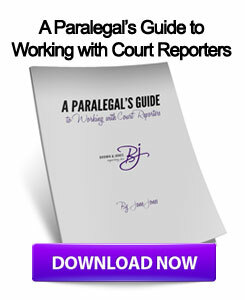 As these professionals get better at their craft, lawyers in the Midwest may benefit from partnering with Milwaukee court reporters to ensure they obtain the most accurate deposition transcripts. This entry was posted on Monday, October 15th, 2012 at 10:47 am	and is filed under All Posts, Court Reporting News. You can follow any responses to this entry through the RSS 2.0 feed. You can skip to the end and leave a response. Pinging is currently not allowed.